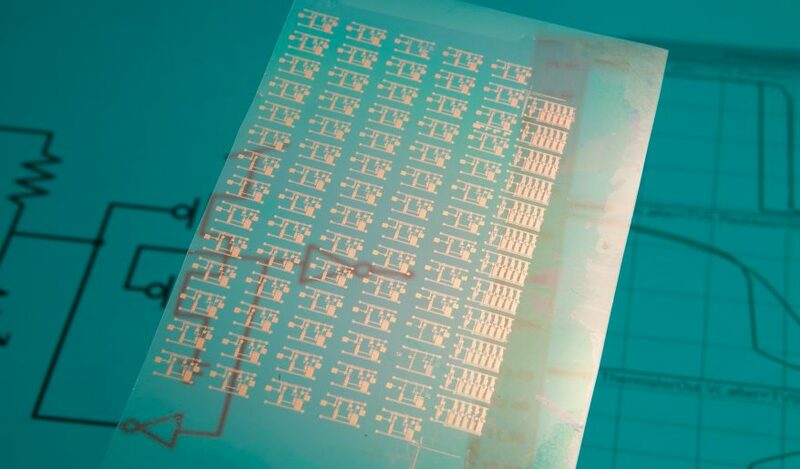 Printed and hybrid electronics enable flexible, large area circuits on plastic and paper substrates for applications like smart packaging, wearables and structural electronics in automotive and aerospace solutions. 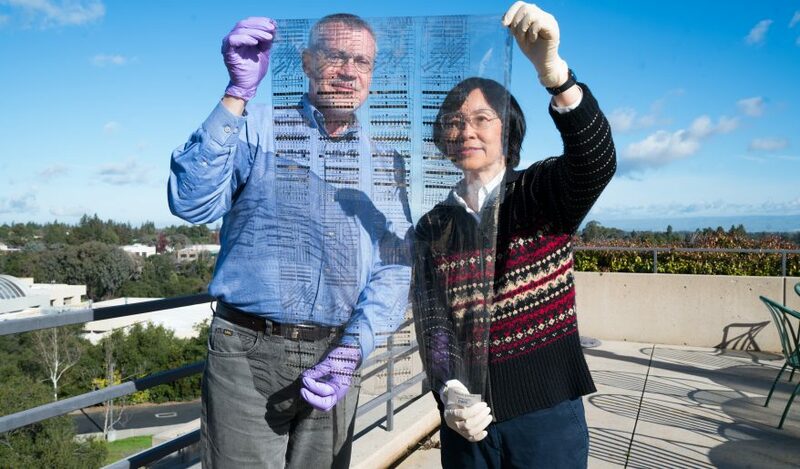 PARC scientists work with commercial and government clients to invent and develop novel devices and systems, comprising of smart inks and ultrathin microchips. 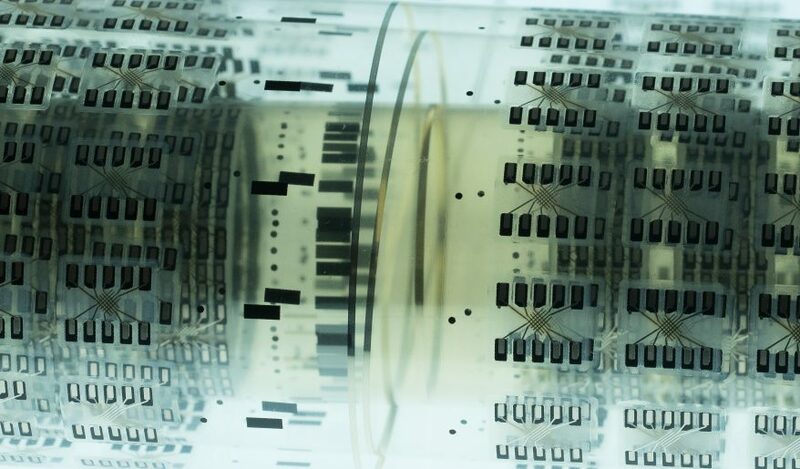 Our expertise in materials characterization and device and circuit design help to deliver industrial-quality electronic prototypes that demonstrate exceptional functionality and manufacturability. 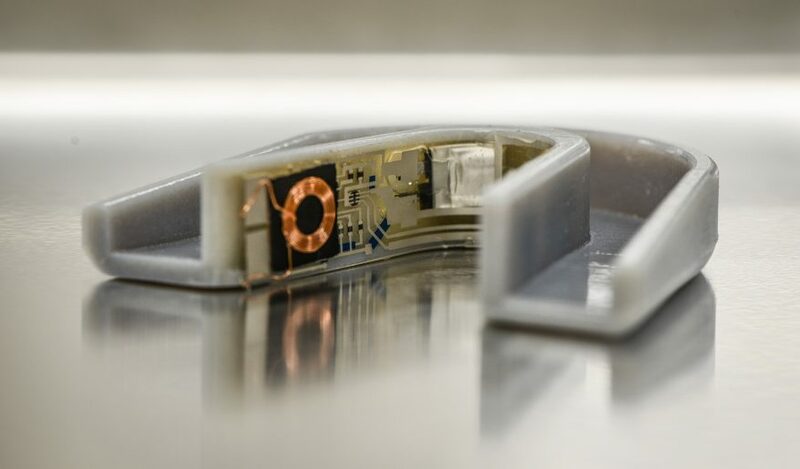 We explore radically new manufacturing concepts, merging the micro and macro to create electronics in innovative form factors; and can build layered novel electronics architectures as an extension of additive manufacturing. We also maintain partnerships with material makers, alongside printing, electronics and consumer product firms, to create this next generation of electronics. Download our Information Sheets on Printed and Hybrid Electronics and Adaptive Current-Collector Electrochemical Systems (ACES) to learn more. 3. Example of printed electronics. 4. Example of printed electronics. 5. Example of printed electronics.